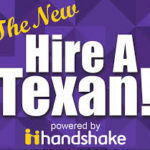 Hire A Texan will now be powered by Handshake, a career-recruiting system that is used by more than 350 universities and 180,000 companies. As of June 30, Symplicity is no longer the system that runs Hire A Texan. Candiss Territo, the internship coordinator at Tarleton State University’s Career Services says that Handshake has more features to help students connect with employers. Territo explained that Handshake will also be more efficient for employers that are seeking to recruit college students. For example, she explained, with the Symplicity system, an employer would have to create separate log in credentials to recruit students from Tarleton. The Handshake system only requires employers to use one log in to connect with all the universities Handshake is partnered with. Territo says that the Handshake platform will also give those working in career services the opportunity to reach out to various employers. One feature that comes with Handshake is the ability for students to use filters to find desired jobs and careers. “They’ll be able to filter out location. So, if they only want to find a job in Austin, it will make it easier for them to look only in Austin,” Territo says. Territo mentioned another issue that students previously encountered when job searching: fraudulent employers. Territo added that Career Services will also know when other universities have flagged a particular employer. Emails for various appointments will be sent through Handshake as well. “We’re going to use it more as a communication tool, too. There’s just so many more features within this new platform that we can utilize,” said Adelita Tyson, the marketing outreach coordinator at Career Services. Rather than having to call Career Services to schedule an appointment, students will be able to set up appointments through the Handshake system. Employers will easily be able to post jobs from their mobile devices. “Especially, if they do a lot of traveling, they can do it instantly,” said Territo. 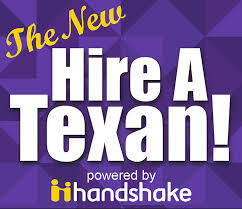 With Handshake, Hire A Texas will feature vacant on and off campus jobs, as well as internship opportunities. “It will be a little bit easier for them to search if they only want to find an on campus job, or if they only want to find a job in Stephenville,” said Territo. Tyson and Territo say that although students are not yet able to navigate through Handshake, employers have already started to post job openings on there. “Everyone’s been very positive. Many of them are already using the system with other universities, so this just makes it easier for them,” Territo said. The career services website has a Handshake page that will include tutorial videos and more information about the handshake system.